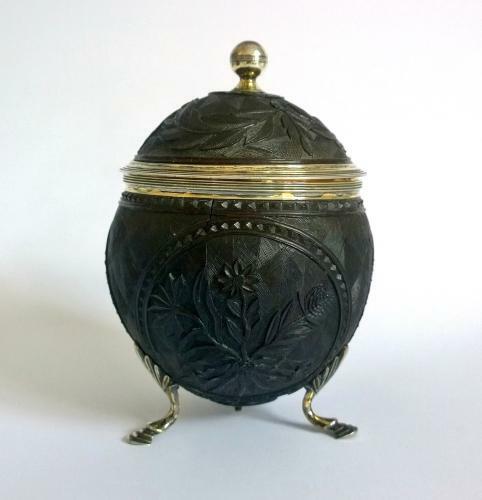 Silver Lined Carved Coconut Tea Caddy by Mary Hyde and John Reily. Georgian period, hallmarked London 1800. Excellent condition. Mary Hyde and John Reily registered their sponsors mark at Goldsmiths Hall in 1800. They were married the following year and works with this mark are very rare.